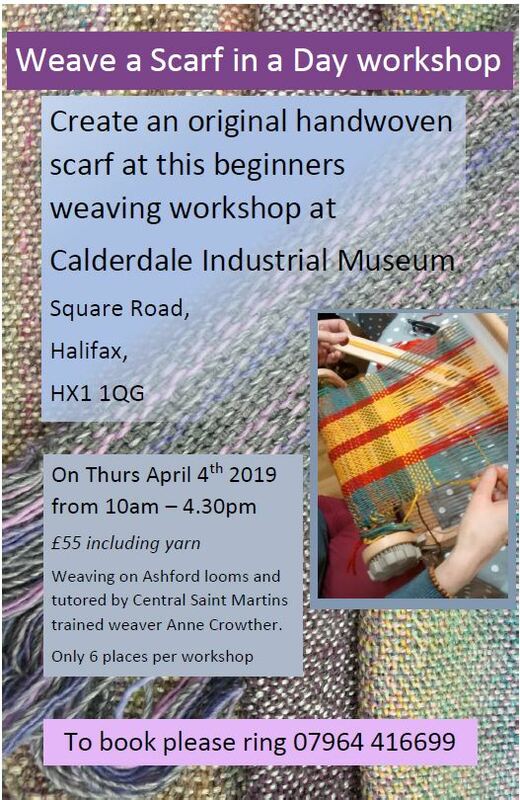 On Thursday 4 April, 10:00am-4:30pm at Calderdale Industrial Museum, Square Road, Halifax HX1 1QG you can create an original scarf at this beginners workshop. Weaving on Ashford looms and tutored by Central Saint Martins trained weaver Anne Crowther, the day long workshop costs just £55 including the yarn. For further information and to book call 07964 416699. 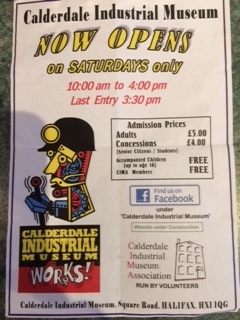 This entry was posted in Apr, Events and tagged Calderdale Industrial Museum. 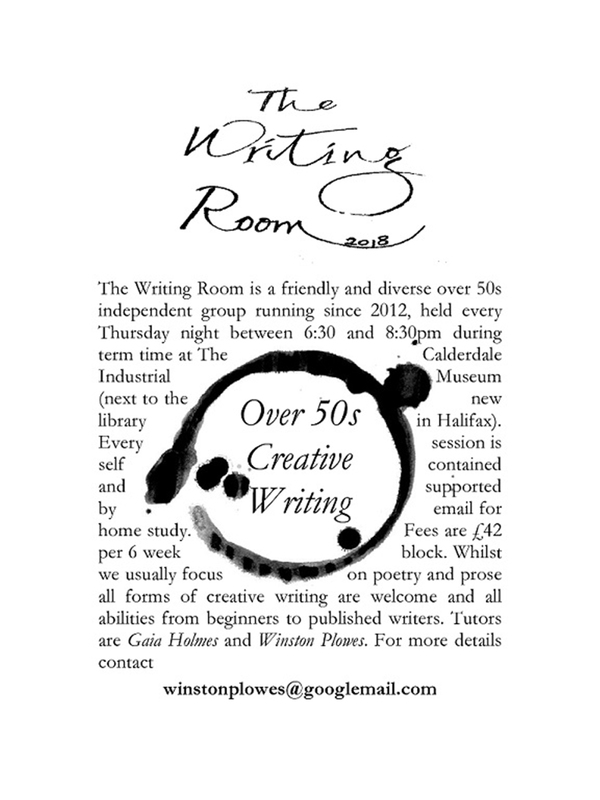 This entry was posted in Get Involved / Have Your Say, Staying Well and tagged Calderdale Industrial Museum, Writing Room. 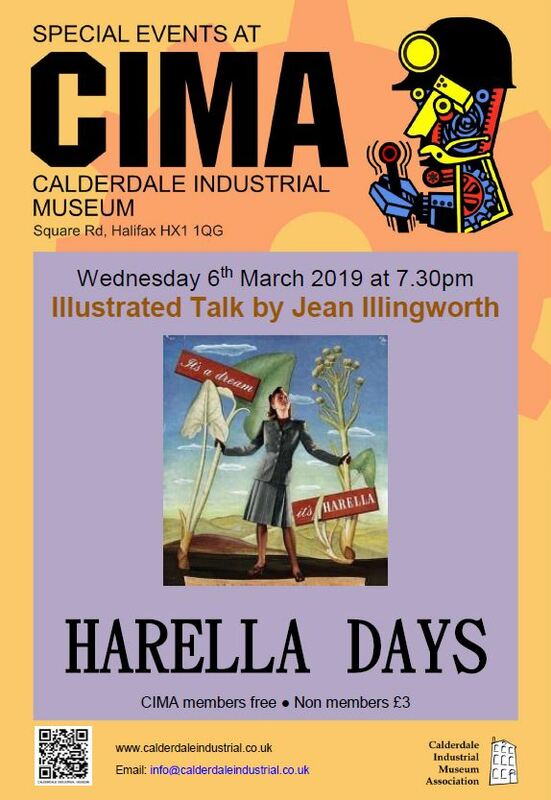 Unfortunately Jean Illingworth will be unable to give the illustrated talk on Wednesday 6 March, 7:30pm at Calderdale Industrial Museum, Square Road, HX1 1QG about the Harella clothing manufacturer. It is planned that this will be re-scheduled for later in the year. 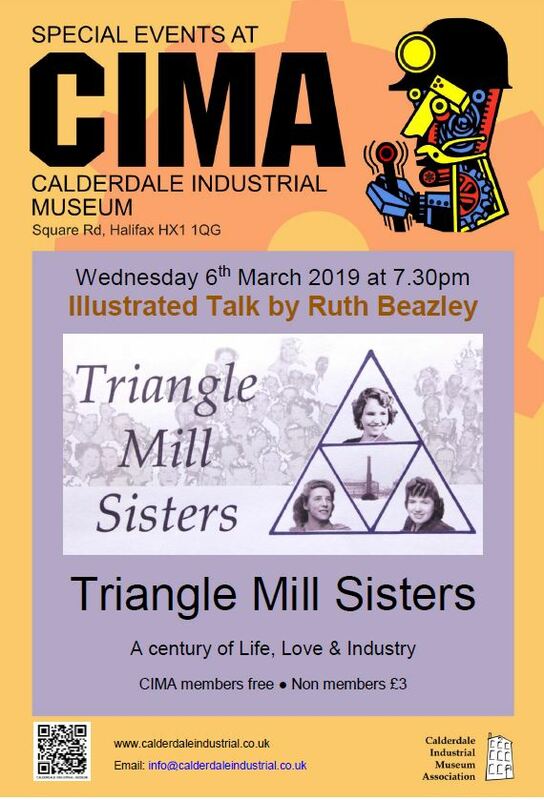 However, CIMA are pleased to say that Ruth Beazley has stepped in at short notice and will be giving her popular illustrated talk on ‘Triangle Mill Sisters’ about how the history of Wm. Morris’ mill at Triangle. This influenced the growth and decline of the village through 150 years, and the mill girls who lived there. The talk starts at 7:30pm, with tea & coffee available from 7:00pm. 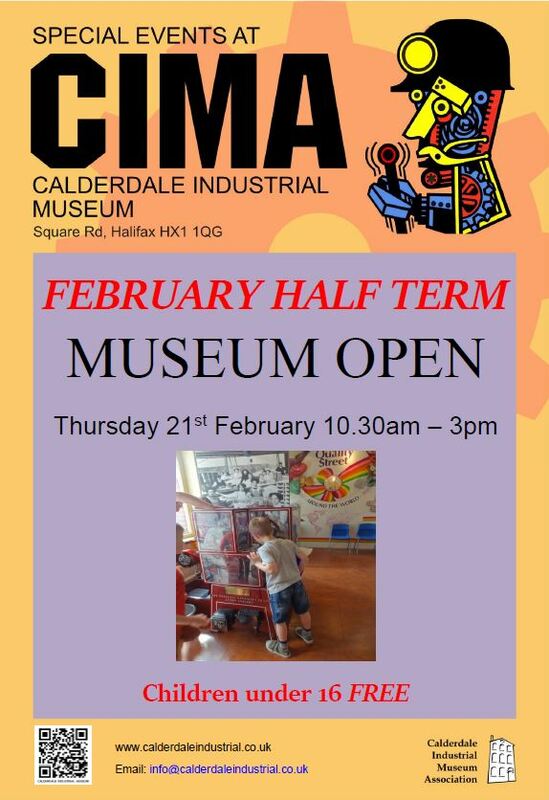 During half term, Calderdale Industrial Museum, Square Road, HX1 1QG will be open on Thursday 21 February, 10:30am-3:00pm. 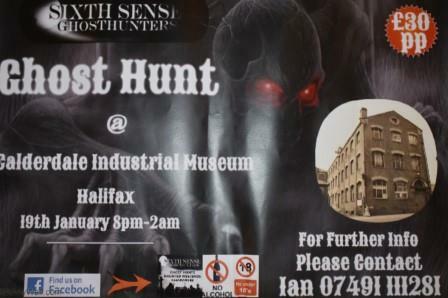 Calderdale Industrial Museum, is holding a ‘Ghost Hunt’ on Saturday 19 January 2019, 8:00pm by Sixth Sense Ghost Hunters at the Museum on Square Road, Halifax HX1 1QG. For further information please contact Ian on 07491 111281. Situated near to Halifax railway station and the famous Eureka children’s museum, and next door to the newly renovated Piece Hall, the new central Library and Archive, and Square Chapel, Calderdale Industrial Museum is well placed in the centre of Halifax’s growing ‘cultural quarter’. Access is to the side of the Museum via our newly installed ramp and stairs, internally there are stairs and a lift to all floors. Open every Saturday, 10:00am-4:00pm. Last entry 3:30pm. Entrance fee: £5 per adult. Concessions £4. Accompanied children enter free. RAIL – Halifax station is 200 yards walk. BUS – Halifax bus station has links to all nearby towns and cities. A short walk through the shopping centre and the Piece Hall will take you to Calderdale Industrial Museum, just outside the new East Gate of the Piece Hall. CAR – The museum address is Square Road, Halifax, HX1 1QG. There is no dedicated parking for the museum but on-street, pay-and-display parking is available close by and there are several pay-and-display car parks near the Minster to the north east. This entry was posted in Events, Jan and tagged Calderdale Industrial Museum. 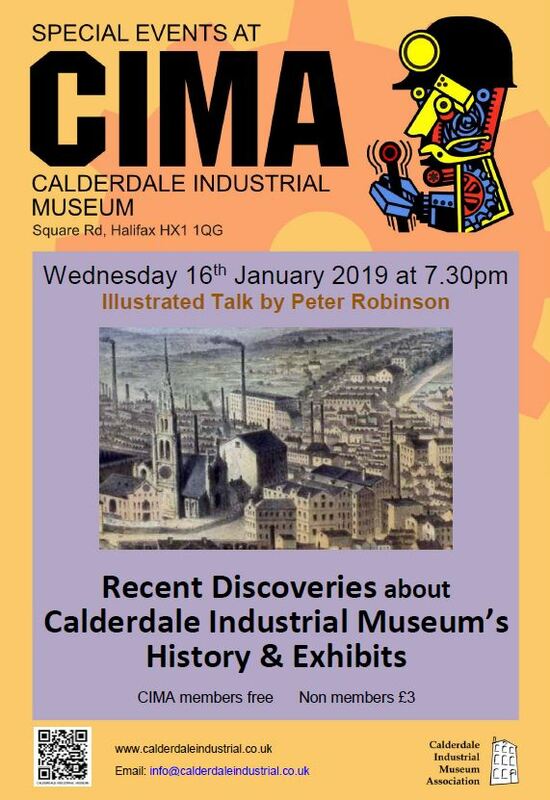 Calderdale Industrial Museum, is presenting the next in our series of talks on ‘The Making of Calderdale’ on Wednesday 16 January 2019, 7:30pm by Peter Robinson. 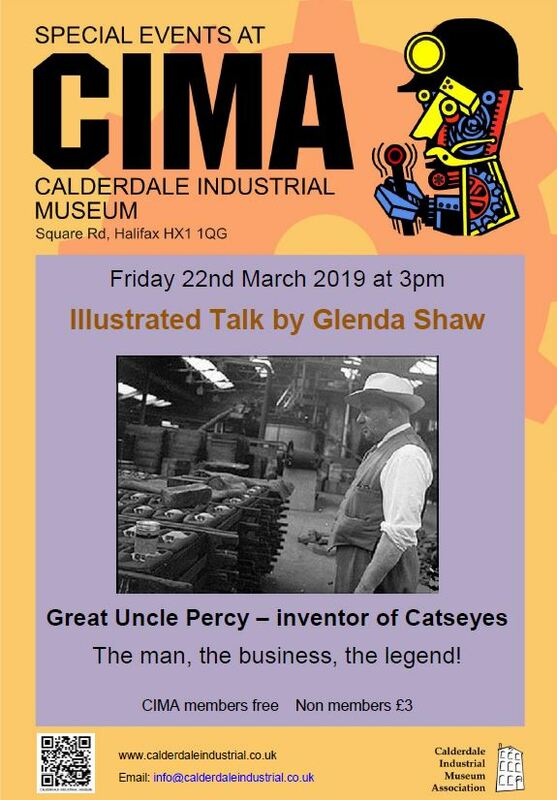 Peter will be discussing recent discoveries about Calderdale Industrial Museum’s History and Exhibits at the Museum on Square Road, Halifax HX1 1QG. CAR – The museum address is Square Road, Halifax, HX1 1QG. There is no dedicated parking for the museum but on-street, pay-and-display parking is available close by and there are several pay-and-display carparks near the Minster to the north east. 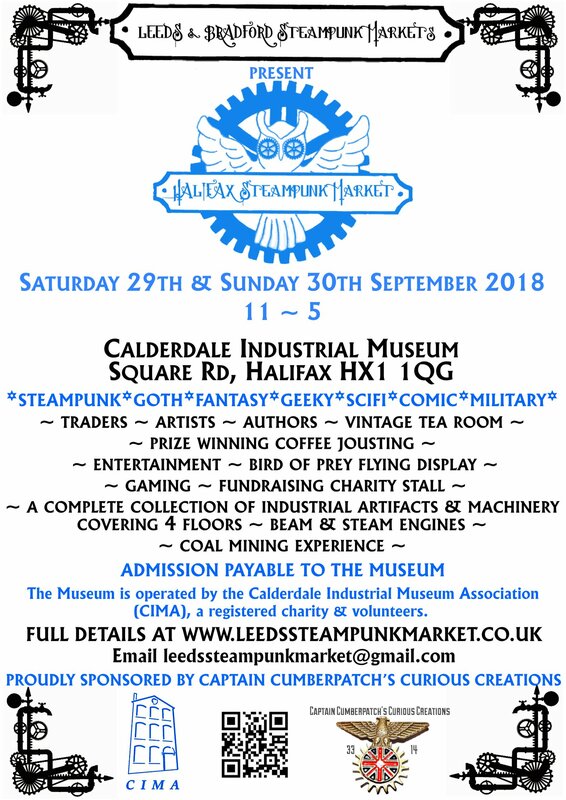 Halifax Steampunk Market will be held Saturday 29 and Sunday 30 September 2018, 11:00am-5:00pm at Calderdale Industrial Museum, Square Rd, Halifax HX1 1QG. Outdoor entertainment is to be confirmed but there will be a flying display from one of Amy Jo Lawrance​’s owls from her Flying Squadron on both days at 1:00pm. This will most likely be in grounds of the Piece Hall which is immediately behind the museum. Recruiting for the Coffee Jousting (that’s right!) commences from 3:00pm for the tournament to take place at 4:00pm on the Saturday only. Captain Cumberpatch’s Curious Creations will be donating medals for the prizewinners (silver, gold and two bronze) and one also for the Coffee Jousting Beanmaster (the host). There will be a tombola run to raise money for a named charity which all the traders will be donating to. A vintage tearoom will be there for the weekend selling lovely homemade cake and cuppas. There will be no hot food vendors outside this time as there’s very little outdoor space plus the museum backs onto the Piece Hall where there are other cafes for normal food plus there is a Burger King just the other side of the museum. Don’t forget you need to pay admission to the museum itself as you will be able to see all the exhibitions there as well. Customers will be paying normal admission to the Industrial Museum itself to be able to access the traders as you will be mixed in with the whole building, the displays and the layout. Admission prices are: £5 per adult. Concessions £4. Accompanied children enter free. If you are interested in trading please email leedssteampunkmarket@gmail.com. This entry was posted in Events, Sep and tagged Calderdale Industrial Museum, Steampunk, The Piece Hall. Calderdale Industrial Museum will be open on both Saturday 5 and Sunday 6 May to coincide with the start of the Tour de Yorkshire from the Piece Hall on Sunday 6 May, 12:10pm. As part of the celebration, the museum will be exhibiting some antique bicycles. Open 10:00am to 4:00pm (Last entry 3:30pm). Admission costs £5 Adults/£4 Concessions – Accompanied Children (up to aged 16) and CIMA members go FREE. This entry was posted in Events, June and tagged Calderdale Industrial Museum, Piece Hall, Tour de Yorkshire. Calderdale Industrial Museum has re-opened and is open just on Saturdays from 10am to 4pm with the last entry at 3:30pm. Ticket prices are Adults £5, Concessions £4, Accompanied children (up to age 16) enter for FREE. This entry was posted in Get Involved / Have Your Say and tagged Calderdale Industrial Museum.